I cannot thank you all enough for the love you have shown to this new endeavour of mine. It feels wonderful to be a part of such an encouraging and sweet community. 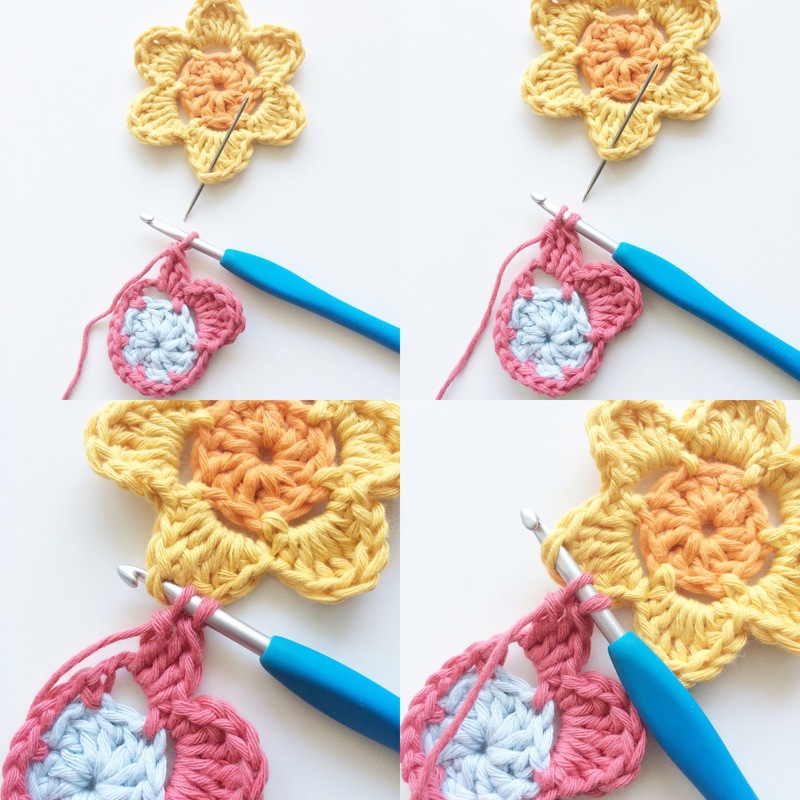 When I started crocheting a couple of years back, it took me a long time to figure out how to change or alter a pattern to my needs. I feel that every pattern has the potential of being made into any thing you want. So when I came up with these flowers, I had that exact customisable thought in mind. 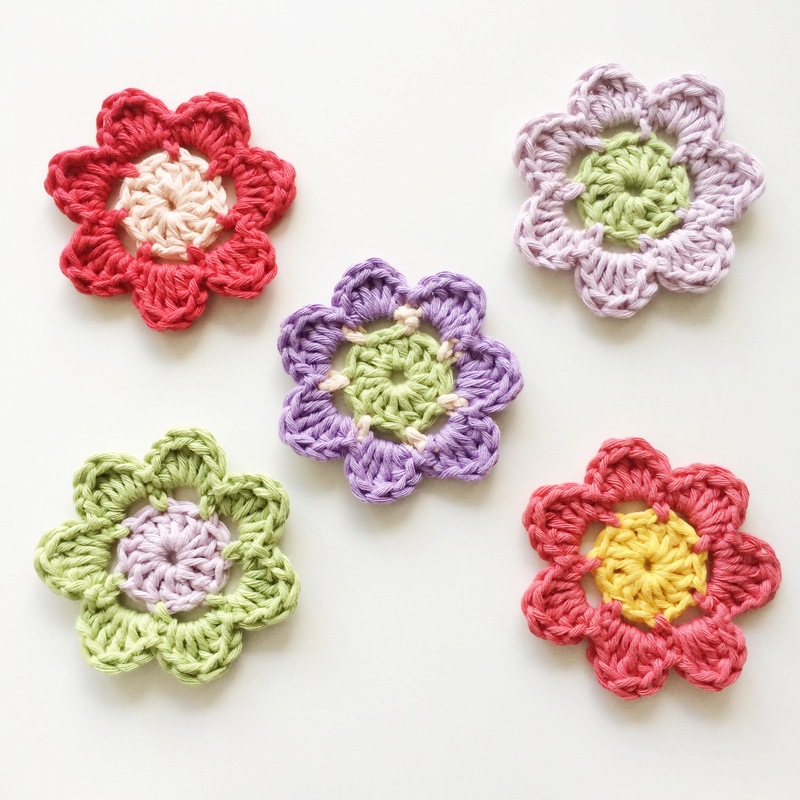 First, I am going to show you how you can make these flowers with 6 or 7 or 8 petals. 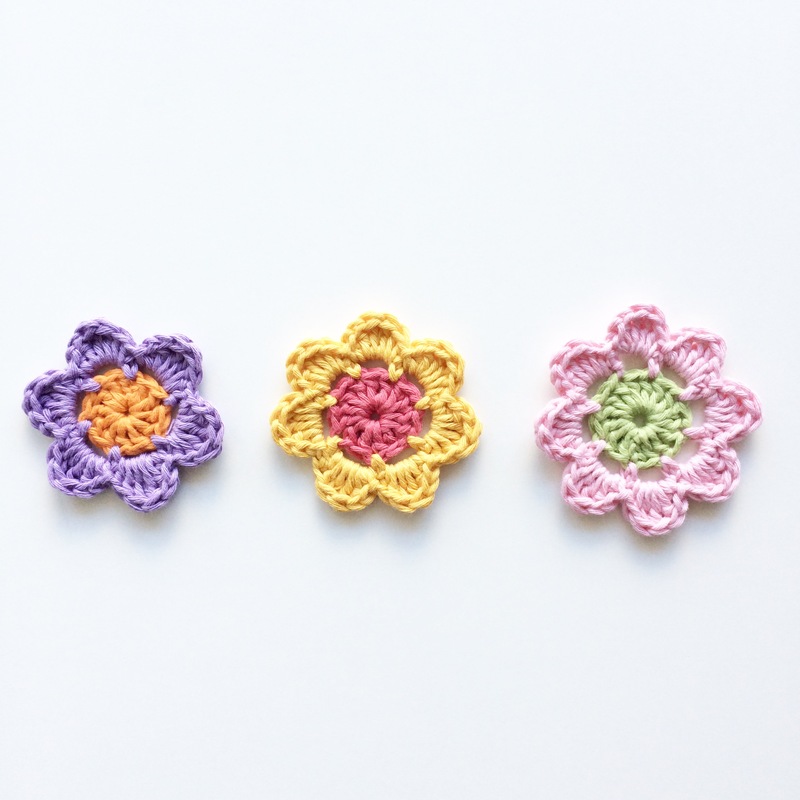 Now the original pattern I designed, which you can find here, is for a 7 petal flower. 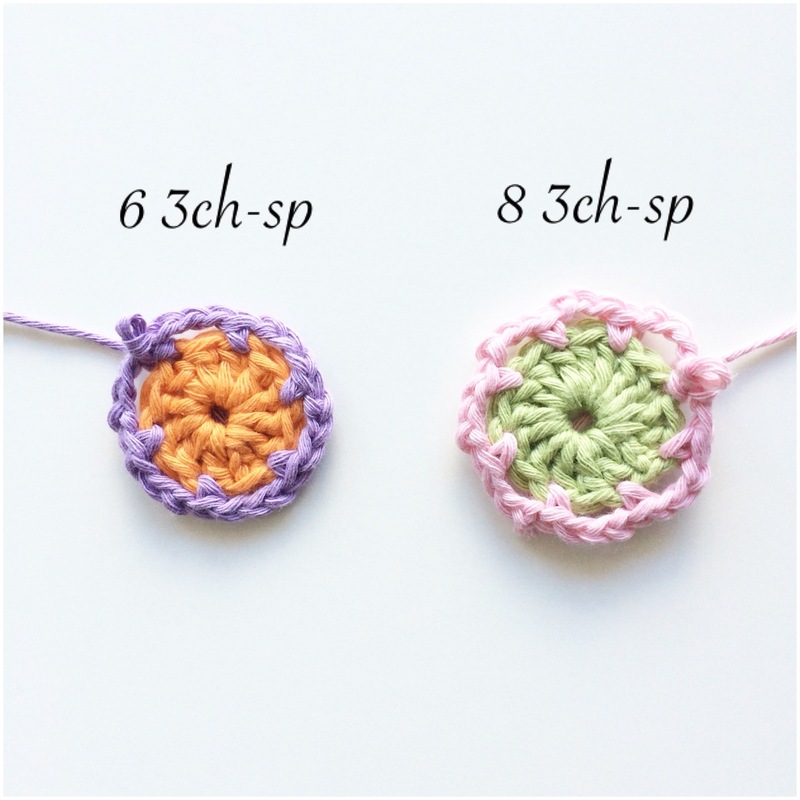 The pattern for squaring the 8 petal flower can be found here. To turn this into a 6 or 8 petal flower, you need to make the following changes. 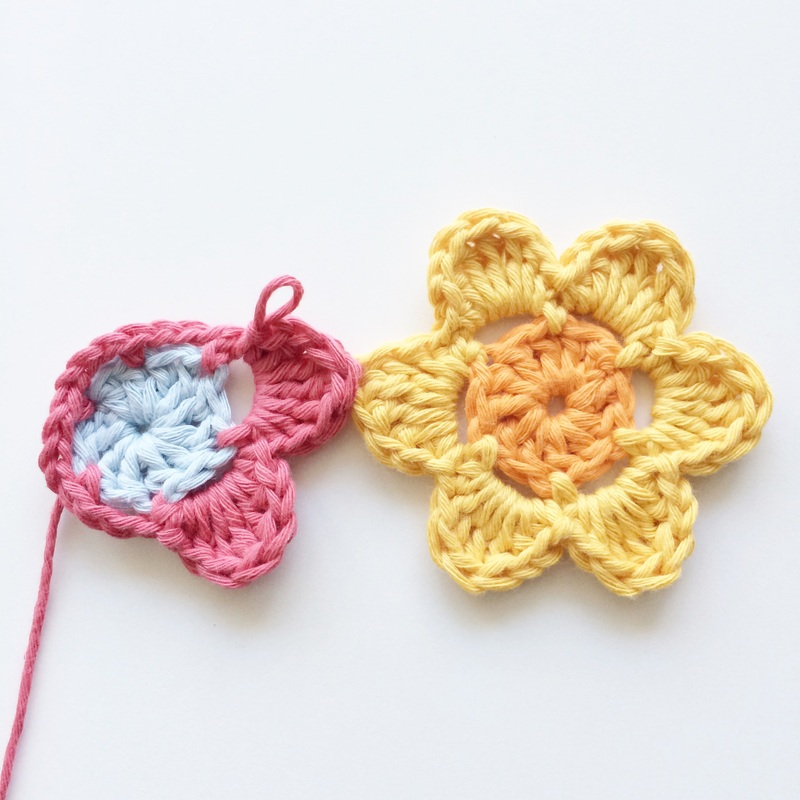 6 petals – You will make 12 dcs in the circle. 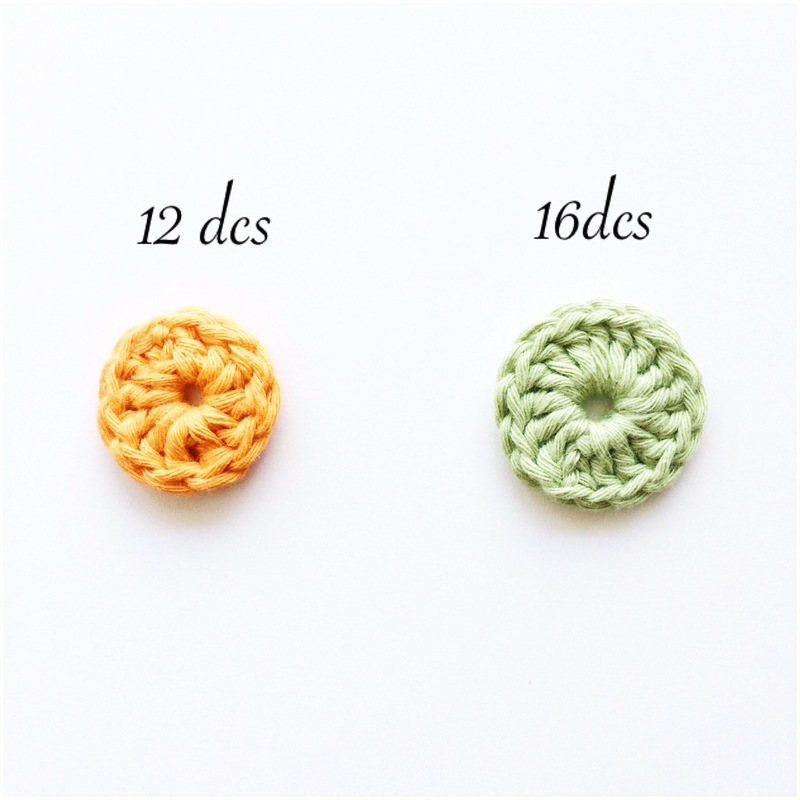 8 petals – You will make 16 dcs in the circle. 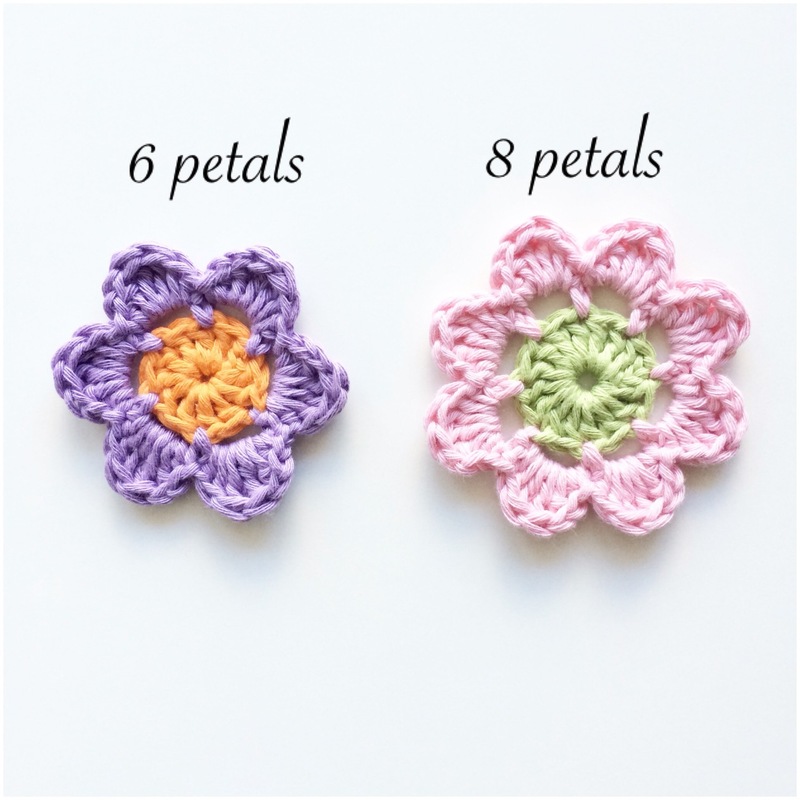 6 petal flower – You will make 6 3ch-sp in the 12 dcs from round 1. 8 petal flower – You will make 8 3ch-sp in the 16 dcs from round 1. 6 petal flower – You will make (1hdc, 1dc, 2tr, 1dc, 1hdc, slst) in 6 3ch-sp from round 2. 8 petal flower – You will make (1hdc, 1dc, 2tr, 1dc, 1hdc, slst) in 8 3ch-sp from round 2. Here are the three different flowers. The second customisation I would like to show you is how I join these flowers. You can sew them together but I find it easy to join them as I go. So for joining purposes, we will make 7 stitches (hdc, dc, 3tr, dc, hdc) for each petal. After you have made the first 3 stitches (hdc, dc & 1 tr) we join to the 4th stitch (that should be a tr) of any petal of the other flower. You pull your last loop through the stitch that has the needle in it and then complete the 2nd tr. And there you have connected your 2 flowers together. Now its up to you whether you want to join one petal or two. The process will be the same. 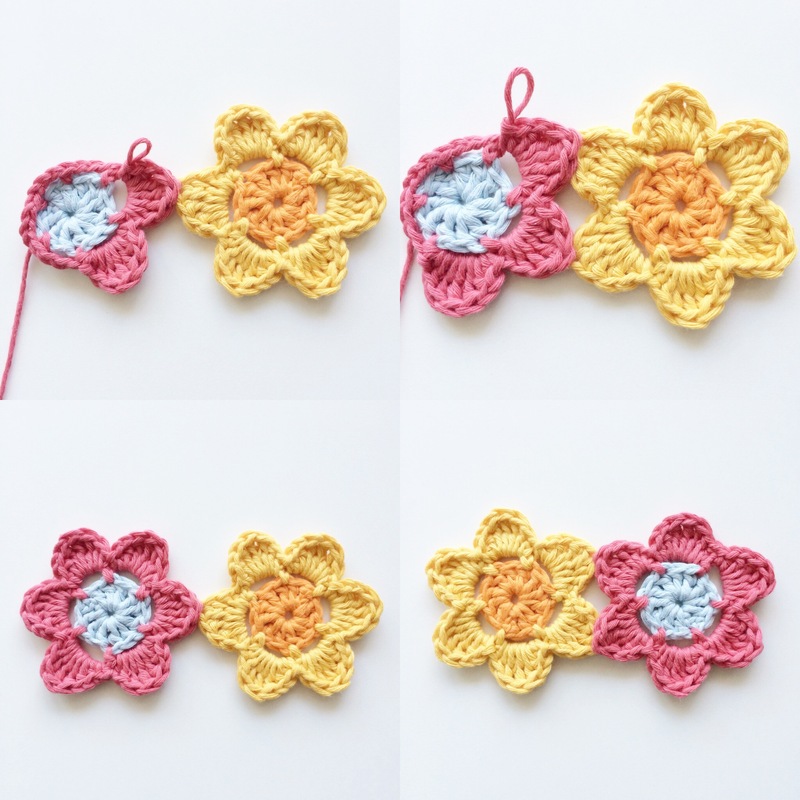 I prefer using even petal flowers when making a scarf, shawl or blanket and odd petal flowers for when using them in a bunting or as an appliqué. I hope this post is helpful and not too confusing! I have been told I have a tendency to ramble on and on. 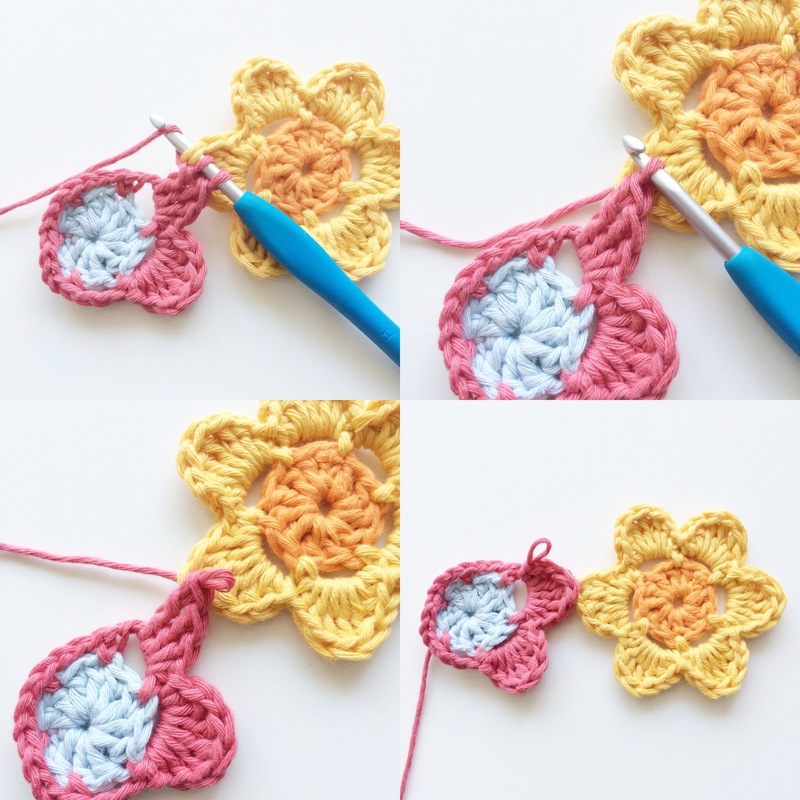 So I bid you adieu here and will be back soon with a tutorial on how to square the 8 petal Easy Peasy flower . See you soon! I love this flower pattern!! !